Knowing that each hour a child remains missing lessens the probability of finding her alive, Mattie and Robo lead the hunt while Cole and community volunteers join in to search everywhere. To no avail. It seems that someone has snatched all trace of the Walker girl from their midst, including her scent. 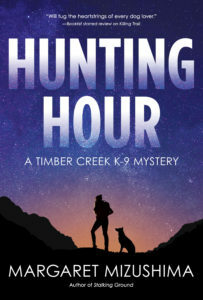 Grasping at straws, Mattie and Robo follow a phoned-in tip into the dense forest where they hope to find a trace of the girl’s scent and to rescue her alive. But when Robo does catch her scent, it leads them to information that challenges everything they thought they knew about the case.